Don’t miss a fantastic 2018 CCAE National Conference! We’re counting down to #ccae2018 in Halifax (June 5 - 7), where Canadian advancement professionals will gather to learn, network and celebrate. There’s still time to register - and if you work in any field of educational advancement, you will discover new ideas and innovations in the session descriptions. The popular 5-presentation snap sessions on Thursday afternoon, June 7. Two spectacular keynotes: Dynamic venture capitalist Arlene Dickinson of Dragon’s Den; and authentic, outspoken Sickboy Podcast. Anne (Coyle) Melanson, Bloom Non-Profit Consulting Group Inc.
New professionals and senior advancement leaders can maximize their #ccae2018 experience at two tailored, half-day pre-conference workshops on Tuesday, June 5. The support of CCAE National Partners, TD Insurance and MBNA, as well as the many sponsors of the 2018 CCAE National Conference, make this annual event possible. The National Partners and sponsors also offer programs, products and expertise that facilitate the work of Canadian advancement. If you’re at #ccae2018, please visit these important supporters of CCAE at the Marketplace in Halifax - and thank them. If you can’t join us in Halifax: link to their company websites, peruse all that they offer and - if your paths cross - be sure to express your thanks for their support of CCAE and the advancement profession. The Distinguished Service Award recipients will be honoured at the CCAE Awards Evening, supported by TD Insurance, on Wednesday, June 6 during the 2018 CCAE National Conference in Halifax, NS. CCAE listens to what Canadian advancement needs, and is planning an expanded and refined roster of professional learning events in the coming academic year. More events will be announced soon. Plan to participate! Megan Hughes received a TD Insurance Fellowship in 2014 at the University of Guelph. She is currently the Sponsorship & Experiential Specialist for Lindt & Sprüngli Inc. Canada. CCAE: What was your path through the TD Insurance Fellowship and into your career? 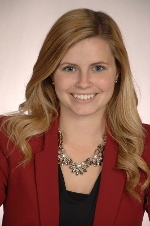 Megan Hughes: During my Fellowship at the University of Guelph, I was offered a brief contract extension, providing more responsibility within the Young Alumni & Student portfolio. Accepting this extension allowed me to work on events with affinity partners, take the lead for Convocation ceremonies, further explore stewardship initiatives and continue to publish various content pieces including the Alumni Guide to Life After Guelph, The Annual Report, and more. In August 2015 I left the University of Guelph to accept a newly created role as Alumni Relations & Advancement Coordinator at Holy Trinity School in Richmond Hill, ON. Privileged to work with a keen group of professionals (both advancement and academic), I continued in the advancement profession for two more years. My role included cultivating relationships with alumni, event planning, communications and CRM database management. In October 2017, I had the opportunity to apply my relationship building, event planning and communications skills to a new industry in corporate marketing. As the Sponsorship & Experiential Specialist at Lindt & Sprungli, I manage sponsorship agreements with partners such as the Vancouver Canucks, Toronto International Film Festival and Skate Canada. It's hard to say no to chocolate, and I am very happy I took a leap of faith into the corporate world! CCAE: What did you learn in your TD Insurance Fellowship year that has served you well in your career? Megan: My year as a TD Fellow taught me a strong work ethic and appreciation for the advancement industry. It provided me with the confidence to comfortably present and share my ideas in front of senior leadership, and quickly made me comfortable with public speaking. Most importantly, being a Fellow granted me the opportunity to be mentored by some exceptional leaders and learn how to network. Lisa Hood (Associate Director, Annual Fund), Karen Bertrand (former Associate VP, Major Gift Advancement) and Jason Moreton (Associate VP, Alumni Advancement) at the University of Guelph, and Ryan Brejak (Associate Director, Annual Giving, Wilfrid Laurier University) all played integral roles in my professional growth, and each offered something different. CCAE: What advice do you have for aspiring TD Fellowship candidates? Megan: Don’t fear the opportunity to get involved! Had I known that volunteering at the university / in advancement would kick-start my career, I would have volunteered from my first day on campus (versus my third year as an undergrad)! Be open to new ideas, people and opportunities, and when an opportunity presents itself - take it.